Chemical engineer Vo Van Trac has come up with an unusual way to fund his foray into online publishing: shrimp farming. Several years ago, Trac heard whispers that aquaculture was going to be the next big thing. After countless months in bookshops, libraries and meetings with experts, the chemist was disappointed about the amount that was out there for. budding shrimp farmers. If an expert like him found it hard to learn more about the technical aspects of crustacean care, he asked himself, how could farmers improve their skills? This was when Trac first floated the idea of Viet Nam's first shrimp breeding website, where farmers could find industry news and share their opinions and experience with each other. In May last year, the chemical engineer turned the first web page at www. 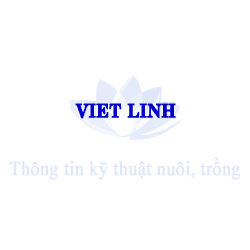 vietlinh. com. vn and the shrimp farming net widened. However, the 41-yearold found the task more challenging than he first thought, because there were large gaps between the practical experience of farmers and the technical writings of the experts. The only way to bridge this chasm, Trac decided, was to dig his own shrimp ponds. Then he would gain firsthand knowledge and earn enough to pay for the costs of his website. With the support of his extended family, the chemical engineer bought land in HCM City's outlying district of Can Gio and established three farms. He adapted three different models: broad-scale farming on 3ha, intensive farming on 2ha and experimental use of 1 ha of land known to be "poisonous" to shrimps. Even when Trac attended a scientific workshop and heard that Can Gib soil was unsuitable for shrimp farming, he resolved to carry on. But it was only when he had really set to work that he fully understood the difficulties faced by the farmers. "Shrimps need love and care, just like humans, "Trac said. "We also need to constantly update our knowledge of shrimp farming; after overcoming one disease, another crops up in its place. "If we don't treat these diseases immediately, the farmers will suffer losses after one or two successful seasons. " Trac has also been able to draw on the experience of foreign farmers. He learned from an Ecuadorian friend that shrimp farming had developed rapidly in his country until a strange disease destroyed most of the large shrimp fields and polluted the surrounding area. The farmer has found that his intensive shrimp ponds are the most lucrative. "I want to turn my shrimp ponds into factories," he said. "We need to control the farming process from start to finish, including feed and medicines. Shrimp breeders must be trained. Everything, from changing the water to feeding, must follow a strict timetable." Visitors from the US, Japan and Taiwan have come to see Trac's shrimp ponds and praised the nuanced techniques of Vietnamese breeders. Although shrimp farmers across the country see him as a success story for the sector, he still only sees his ponds as interactive `labs' for his website. "I put my farming experiences up on my website, and try out the experiences of web surfers on my ponds." Many farmers first learned about Trac's website late last year at a workshop held in Ca Mau Province by the HCM City Information Science Association, and frequently travel to their communal post offices to access the Internet for the latest updates. The online pioneer is now branching into other forms of aquaculture, and dreams of turning his website into something like a stock market, where users can share their experiences and advertise their produce. Trac is also preparing for the days when Vietnamese shrimp farmers will face competition from foreign producers, as the country integrates with regional and international markets.